Ser Integral: Portuguese Center for Mindfulness is now providing MBCT training in partnership with the Oxford Mindfulness Centre and will deliver all modules for the OMC Training Pathway over the next 20 months. Ser Integral was founded in 2007 by Dr. Carla Martins with the name Project Mindfulness Ser Integral. It was the first centre in Portugal offering mindfulness in a secular context and the Mindfulness-Based Stress Reduction program (MBSR). Its scope included mindfulness based interventions in the field of health and well-being for adults, children and adolescents, as well as in schools and companies. 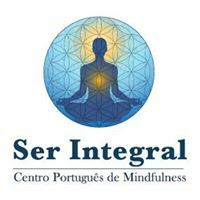 Ser Integral: Portuguese Center for Mindfulness is now providing MBCT training in partnership with the OMC. Our first MBCT-L training took place in February this year and a residential intensive MBCT programme is scheduled for 16-21st November 2018. We anticipate that these programmes – delivered by Marion Furr, OMC Trustee, Chartered Psychologist and Mindfulness Teacher now living in Portugal – will provide the pre-requisite training for candidates to undertake OMC Teacher Training programmes in Portugal. Ser Integral will deliver all modules for the OMC Training Pathway over the next 20 months, including a silent mindfulness retreat planned for October 2019 with Chris Cullen and Yuka Nakamura that will qualify as Module 3. Modules 1 and 2 will be delivered in both October 2018 and April 2019, and Module 4 is scheduled for Spring 2020 with the intention to build capacity for Portuguese Mindfulness Teachers to teach MBCT in Portuguese. As well as its partnership with the OMC, Ser Integral organizes annual retreats with experienced mindfulness teachers from the USA and UK which are co-sponsored by Center for Mindfulness in Medicine, Health Care and Society of University of Massachusetts Medical School In 2019 it will offer the MBRP Teacher Training with the support of Dr. Sarah Bowen. The aim of these initiatives and collaborations is to offer high quality programs, retreats and teacher to the Portuguese community and internationally. Over the last few years Ser Integral has received professionals and mindfulness practitioners from many European nations as well as Morocco, Canada, Brazil, U.S.A, Qatar, Tunisia and Australia.